Leather-Bond is a two part, heat-resistant and low exotherm, epoxy adhesive formulation. It is a 100% solid epoxy adhesive, with superior chemical resistance and shear strength. Leather-Bond contains a thixotrophic agent which impedes thinning out of the material during heat cure when properly mixed and cured. 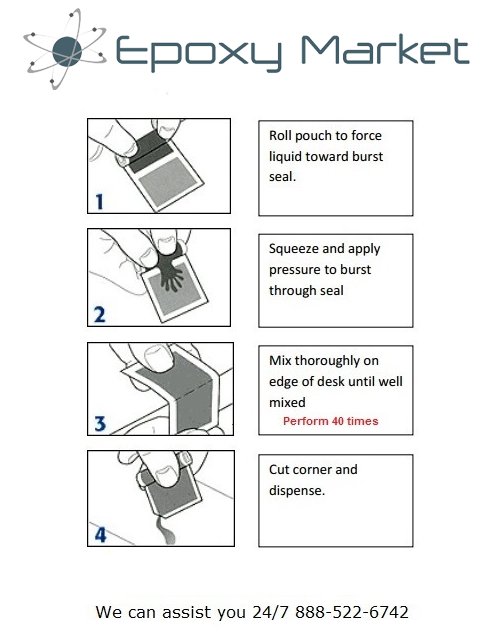 2) Apply Leather-Bond completely mixed adhesive to the prepared surfaces, and gently press these surfaces together. Contact pressure is adequate for strong, reliable bonds; however, maintain contact until adhesive is completely cured.